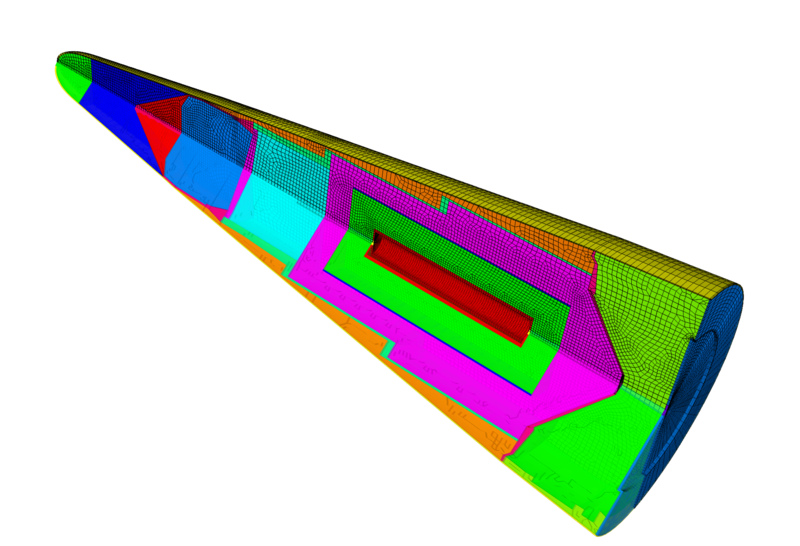 Sandia National Laboratories investigators turn to advanced modeling to test the reliability of the joints that hold nuclear missiles together. Although nuts and bolts are seemingly straightforward objects, some researchers are questioning how reliably joints hold structures together under high stresses. This trustworthiness gap is spawning global efforts to create computer models good enough to increase confidence in joint mechanics. “It’s an extremely large, nebulous problem that we cannot solve using traditional methods,” says Matthew Brake, a principal research scientist at Sandia National Laboratories in New Mexico, where he’s organized an international research institute on the subject this summer. In response, investigators are reevaluating well-established physics they’ve since found inadequate and circumventing the overcomplexity and uncertainty of standard equations used in their models. One example: the 2012 grounding of all Airbus 380 passenger jets after inspectors found cracks in wing joints. It cost an estimated $630 million for repairs, plus about $1.22 billion in lost revenue. One of those occurred in 2009, when two turbines at a Russian hydroelectric station self-destructed, triggering a chain of events that killed 75 people and brought on widespread power failures. The cause was diagnosed as fatigue damage from turbine vibrations. Repairs took two years and cost $1.3 billion, not including the bill to clean up 40 tons of leaked oil. Investigators at Sandia, which shares research oversight of the nation’s nuclear stockpile, have focused on an even more critical issue: the reliability of joints holding together missiles and shielding nuclear weapons. Such complex joint assemblies can be modeled for assurance, but under international rules nuclear weapons cannot be physically flight-tested. The challenge: to develop realistic simulations of how these large systems respond over a span of several minutes of operation while accounting for the effects of phenomena happening at the atomic scale over nanoseconds. Sandia research reports have shown that strongly vibrating joints can become gremlins trapped in automobile-sized cages as they try to dissipate tremendous energy by flexing, slipping, locking, knocking, deforming and even fracturing unpredictably over such minuscule times and distances.